Dalchem is a leading provider of clear polyurethane products . As the name suggests, clear polyurethane products provide a clear and water-white encapsulation. Also, clear polyurethane products provide the well-proven benefits of polyurethane such as high flexibility, strength, and strong resistance to abrasion & chemicals. 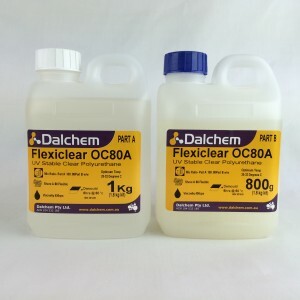 Dalchem's clear polyurethane supplies include Technique WC80, which is a dual component casting compound. This clear polyurethane product has low viscosity and can be used with a variety of fillers. Technique WC80 can be used for modeling architectural elements, model kits, masters and prototypes, and other decorative components. Dalchem’s clear polyurethane products are available in various packet sizes.